Stylin in St. Louis: Spotlight of the Week: Stripes…. 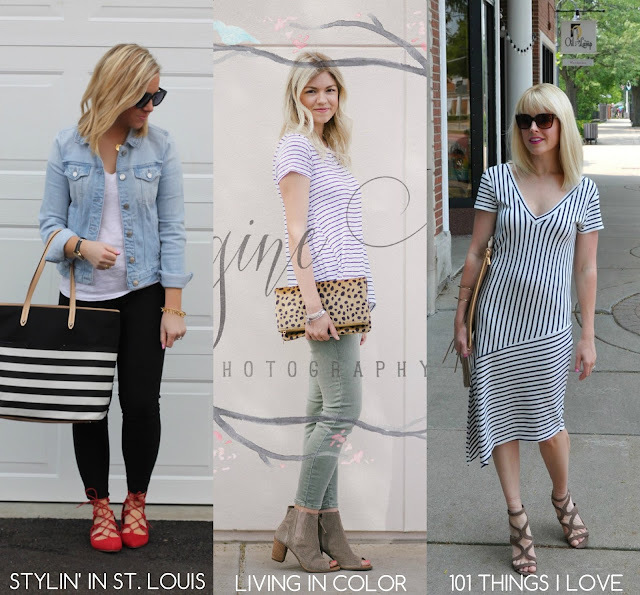 Spotlight of the Week: Stripes…. Hi everyone! Hope you had a great week! I spent the past weekend in Chicago! By the time I got home on Monday night, I was worn out! We spent the entire weekend shopping! So many great stores! My car was packed on the way home! So many great finds! I cannot believe how large Homegoods is in Chicago! I found so many great items! I already told my mom that we need to make a trip back in April! 1. 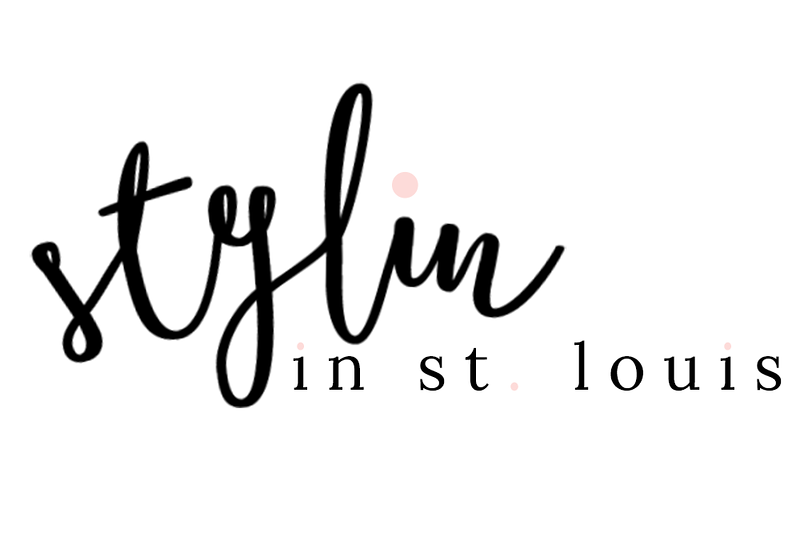 We kindly ask that you follow the two hosts: Elle from Living in Color Style, Jacqueline from Stylin' In St. Louis, and our co-host Johanna of 101 Things I Love via Bloglovin or GFC. Spotlight: Our spotlight of the week is Sarah of Foxy's Domestic Side! We just love her floral look! Such a pretty print! Perfect look for spring! Be sure to check out her blog! 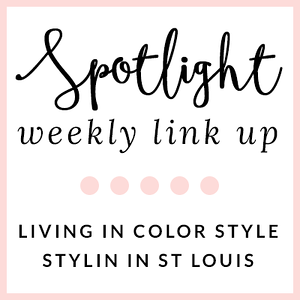 Next Week: Next week our spotlight weekly theme is SPRING FEVER! Thanks for linking up! See you next week! these flats are so cute. 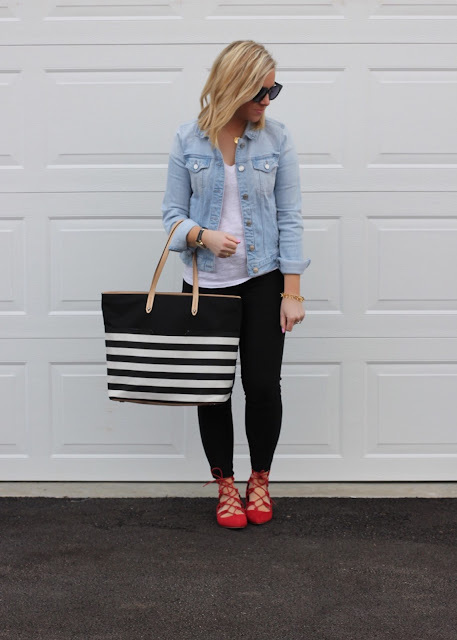 Such a chic bag and love the red lace-ups, super cute look on you!! That striped bag is so cute! Love those lace up flats and the pop of red! Literally the PERFECT outfit, it has it all! Pop of color, amazing bag, Jean jacket at its best and beautiful you!! Just love it!! Denim jacket ftw- and I love that bag, doll! Such a versatile + functional piece! 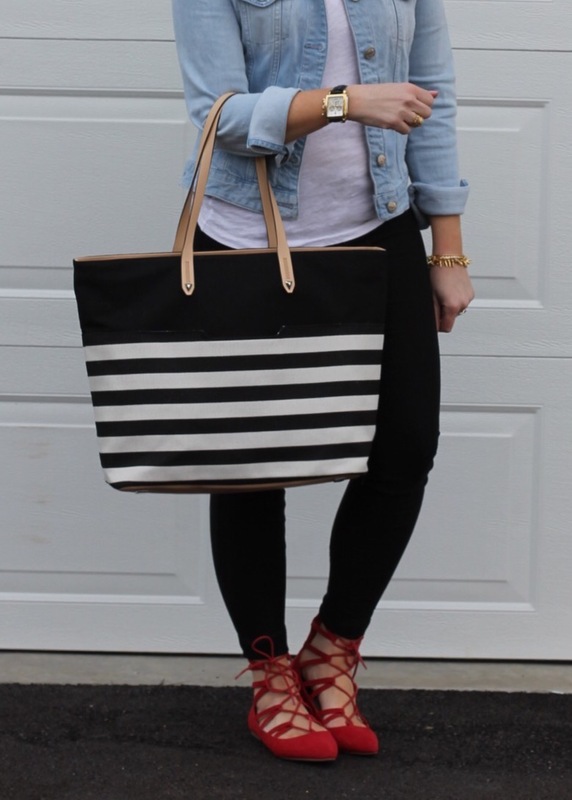 That striped tote and those lace up shoes are just TOO cute together! Can never get enough stripes! All such great looks. The cute shoes and the bag really made this look a winner - Have a lovely weekend ahead! That is such a fabulous bag! I love your red lace ups!! 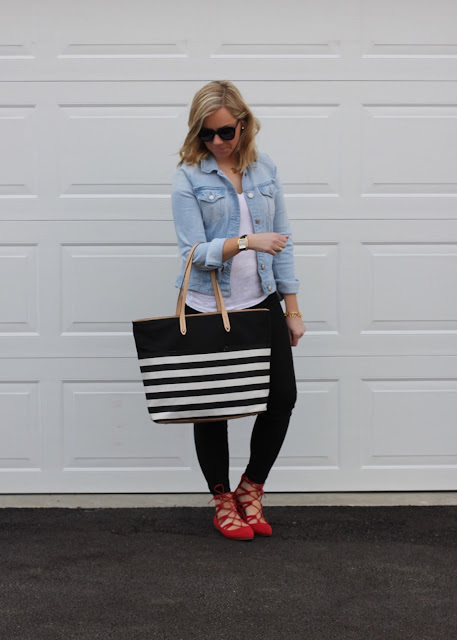 The stripe tote is just so fun and love the red lace ups. I love this casual look! One of my favorite go to looks. Love the stripe totes and red shoes! So pretty! 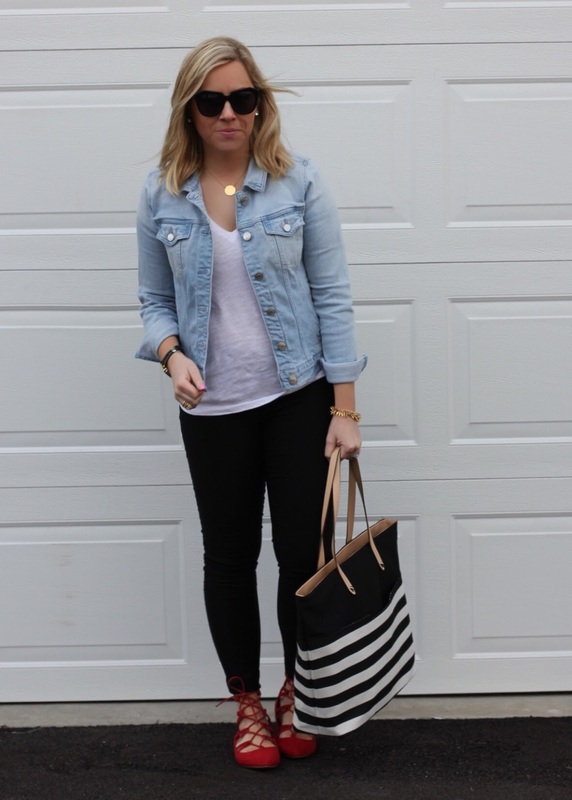 The striped bag is such a show stopper! Especially when paired with the red lace-ups. Gorgeous look! Those shoes are so great! I love the pop of red. Make sure to pop on over and link up with THE SHOE AND TELL FASHION LINK UP on Style Nudge. Thank you for hosting. love your outfit and the striped bag! perfect weekend look! Love those flats! Your trip to Chicago sounds so fun! I love those red lace up flats too, seriously considering getting some! Stripes are my favorites! And how big is Homegoods in Chicago? I'm obsessed with that store! 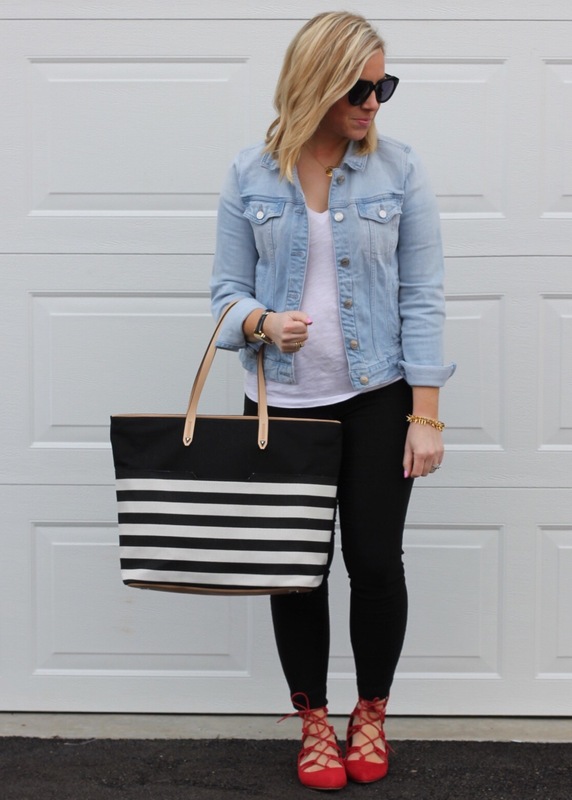 can't go wrong with some cute stripes! great post!